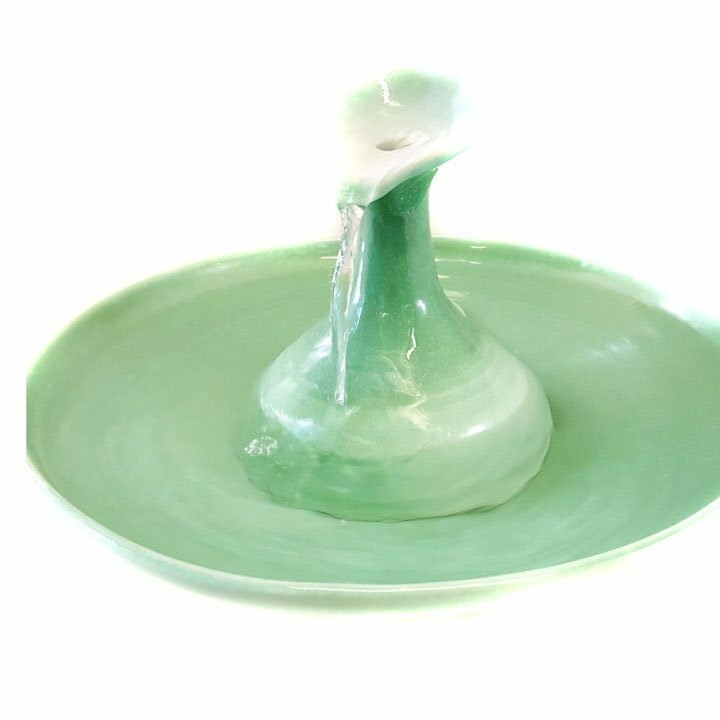 A smoothly stylized version of our leaf fountain giving a smooth, silky look in our Celadon glaze with Cream overtones. Water fills the upper form and streams from the lip. Your cats can drink from the form, the stream and the bowl. 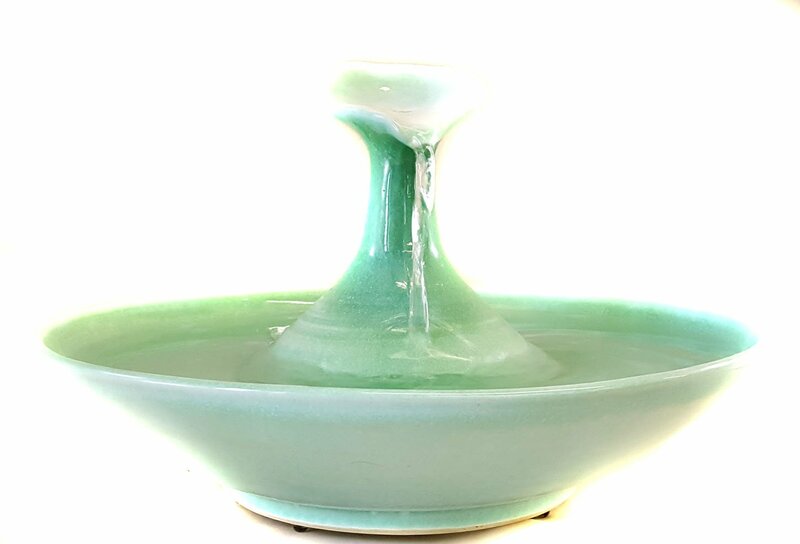 This fountains does not take any of the Cat Taps, the Serenity Flow or the copper Waterleaf. * 3 inches high and 11.75 inches in diameter. All our cat drinking fountains are handmade of the highest quality stoneware, one at a time and are one of a kind. We make our own glazes from raw, pure minerals so we know exactly and how much of what is in them and can insure that they are food safe. Food safe is not simply a matter of containing no lead. 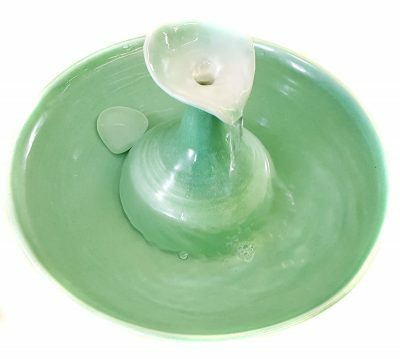 If too much of any colorant is used or if any of the several toxic colorants are used the piece will not be food safe. If a ceramicist doesn’t know what is in his glazes he has no way of knowing if they are food safe. We guarantee our cat drinking fountains to be completely food-safe. In addition they are extremely easy to clean, as many of the reviews state.